No one likes spending precious resources on marketing. In a perfect world, clients would be lining up at your door to do business with you. They’d also pay whatever you feel like charging and settle your invoices a few days early. But in the real world, growth doesn’t simply land on your lap… you have to go after it. If you haven’t read it yet, Hinge Marketing’s seminal work on building a high growth firm has to be next on your list. The book presents Hinge’s findings from a survey of over 350 professional services firms to identify what separates high-growth firms from no-growth firms. Firms who spend more, grow faster. Hinge found a clear correlation between the amount that a firm spent on marketing and the rate by which they grew. Firms who relied solely on word of mouth grew slower than their competitors. High-growth firms spend less than no-growth firms. This is where things get interesting. 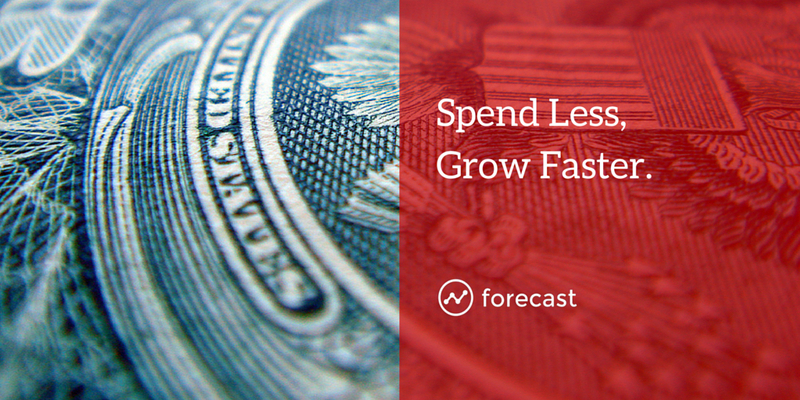 The correlation between spending and growth holds up for the study participants as a whole. But Hinge found that high growth firms were actually spending slightly less than their counterparts. Clearly, there’s more to the equation than how much a firm spends on marketing. High-growth firms, although they were spending less than their no-growth counterparts, were growing much faster by realizing a higher return on investment for their marketing dollars. The short answer is they were more strategic with how and where they spent their money. Whereas no-growth firms were pursuing broad awareness among a broader group of clients, high-growth firms were sending a specific message to a well-defined group of clients. They also had a stronger bias towards digital marketing over more traditional channels. By investing in digital marketing, high-growth firms are able to generate new business more cost effectively than other firms. There’s a lot more to the picture than merely how much a firm spends. If you loosen the purse strings without a well thought out marketing strategy in place, you’re just going to burn through money. But when you do have all the building blocks of a high-growth firm in place, relying solely on word of mouth means you’re leaving money on the table.